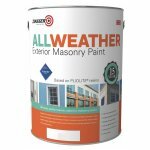 Ultimate performance, exterior masonry paint that can be used on bare or previously painted masonry at low temperatures. 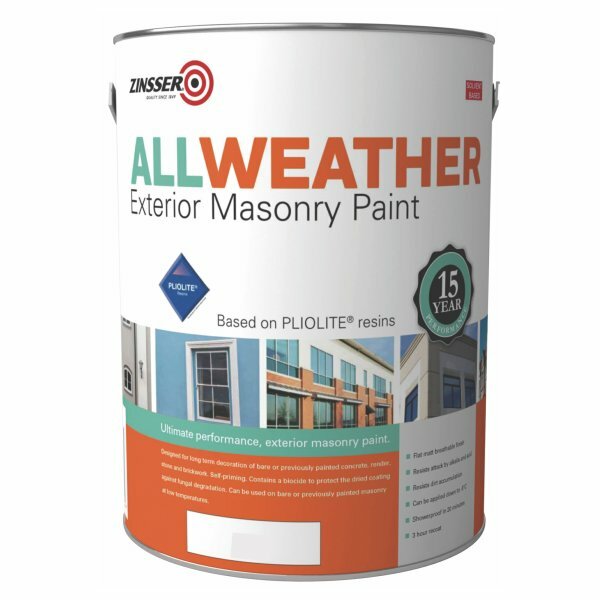 Zinsser AllWeather Exterior Masonry Paint is an ultimate performance, exterior masonry paint that can be used on bare or previously painted masonry at low temperatures. Designed for the long term decoration of bare or previously painted concrete, render, stone and brickwork. Self-priming. Contains a biocide to protect the dried coating against fungal degradation. It gives excellent resistance against cracking, blistering and flaking and protects against rain and severe weather.